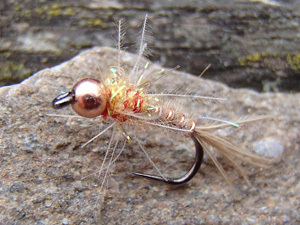 These modern nymphs are based on the Pheasant Tail nymph classic patterns, but ameliorated by using high quality CDC (SWISSCDC) and fine shiny glitter. 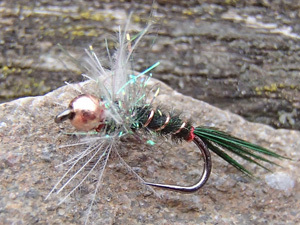 They are weighted by small gold and copper beads with a weight adapted to make them sink fast enough to the fish, without being unnatural. 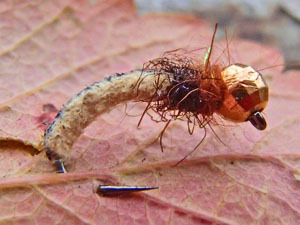 The secret of these nymphs lies in the fine CDC, which, even if nearly invisible under water, makes these nymphs appearing like alive. 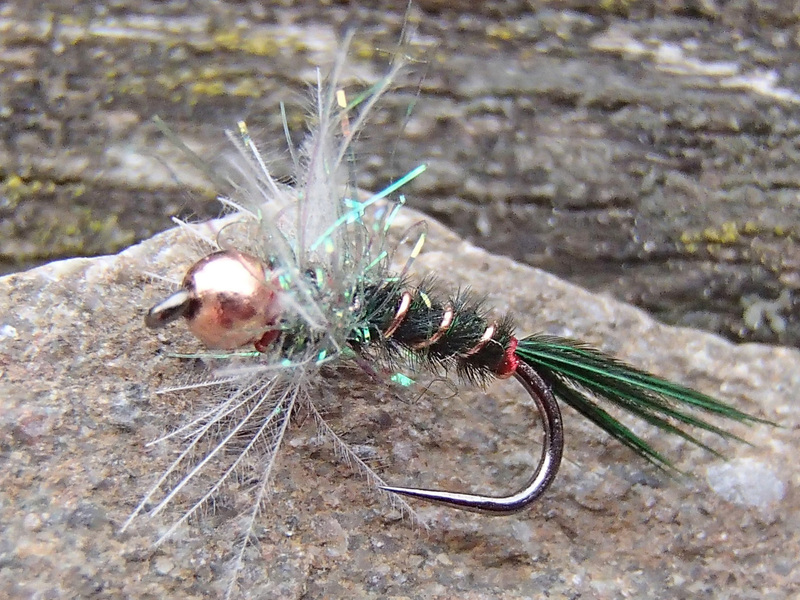 The BELINI Pheasant Tail is a modern variant of the famous, well known nymph. 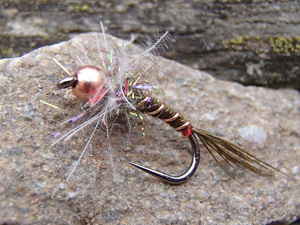 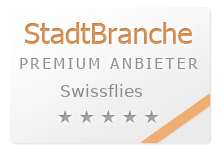 Successful trout nymph and grayling killer bug - worldwide, everytime. 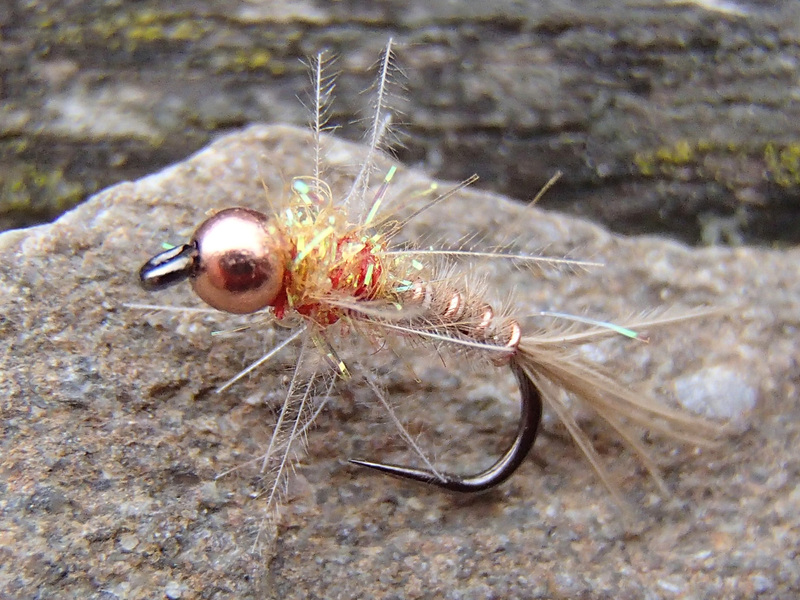 The beige Belini Pheasant Tail variant is the lure you can always trust in- but is tremduosly catching fish when light brown or cream colored mayflies hatch (Light Cahill). If the nymphs of the Blue winged Olive (BWO) begin to move just before hatching, use the BELINI PT olive nymph in both techniques: dead drift, but also - and often far more effective - with the Leisenring lift.